EPISODE III - SOME AMAZING ILLUSTRATIONS! 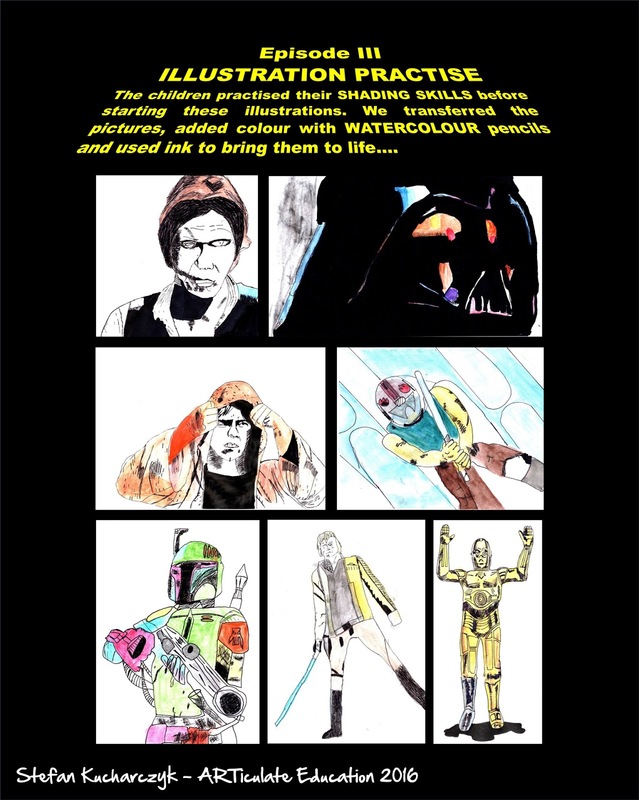 As well as exploring the Star Wars universe through discussion and writing, the wonderful drawings in the graphic novels were also a great source of creative inspiration. I taught the children some basic drawing skills: shading, colour and inking. These practise illustrations were a chance for the children to put those skills into action.